A hilarious, feel-good festive read, perfect to curl up with this Christmas. Fans of Carole Matthews, Jane Costello and Mandy Baggotwill love this story! 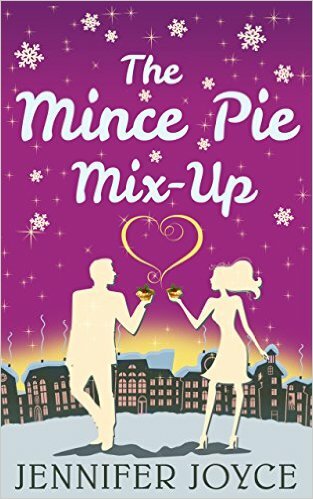 I've just finished reading The Mince Pie Mix Up and have a warm fuzzy feeling inside and a smile across my face. Well, not only does this book have a catchy title and adorable cover - just look at the gorgeous colours - it was a utter page turner that had be laughing throughout and brought a heart warming tear to my eye at the end of the book. Meet the Neil family - Dad Calvin is a workaholic with an arrogant boss, he is physically incapable of putting his dirty clothes in the laundry basket, loves a kick around and pint with his mates and thinks his wife, Judy, has life easy. Judy on the other hand is run off her feet with getting up at the crack of dawn to bake for the village cafe, where after she has walked the dog, got the kids (Scott and Charlie) up and ready for school and made pack lunches, works as a waitress. In the evenings she nags the children on their homework, sorts the washing and cooks a family meal... clearly and surely, Calvin must have the easier life? After an argument their go to bed with a bad taste in their mouths, quite literally as they had eaten a burnt mince pie and made a wish to the Christmas Fairy that they wanted to trade lives... surely its all a dream, right? Its clear the next morning when they wake that it was no dream and Judy is in Calvin's body and vice versa... one of my favourite lines from the book came from this point where they are discovering their personalities are in the wrong bodies - " Judy! Stop playing with my knob and take this seriously"
As Calvin and Judy spend the next 10 or so days in the run up to Christmas eve as each other they go on an unforgettable journey, realising that not all is as it seems. When Calvin ends up with numerous blisters and utterly shatter he appreciates just how much of a military operation Judy is running, whilst she blags her way as him through a super important presentation at work and learns to appreciate just how stressful his job can me. When I started reading The Mince Pie Mix Up, I thought that the book would be confusing but Jennifer Joyce has written this well, the story flowed and highlighted true accounts of a busy family life. There were moments of hilarity which had me giggling aloud and gaining strange looks from the other half! The book was jam packed with festive events, school politics and mince pies... lots of mice pies! 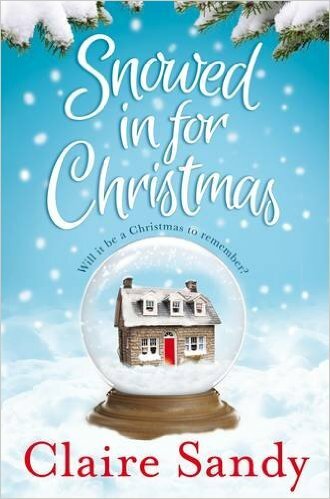 A feel good festive book, with a heart warming story to appreciate what we have at this time of year. I would like to thank the publishers for providing a review copy via NetGalley, this was my honest opinion. 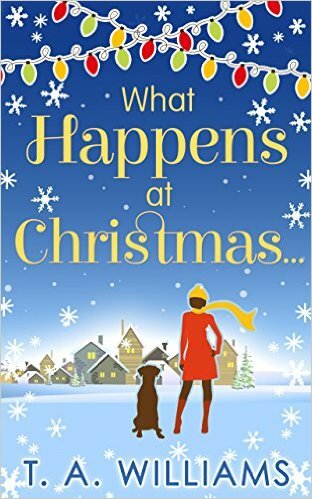 I have read What Happens At Christmas as part of the #CarinaChristmas feature run by Rachels Random Reads. For more reviews, please check out the twitter hashtag. Today I'm delighted to be joined by Rebecca Pugh from Beccas Boooks on the blog as part of the #CarinaChristmas week, where she tells us why she adores this time of year - thank you Becca for this fab festive post! Christmas truly is the most magical, wonderful time of year for me and my family, but I’ve had a hard time trying to pinpoint exactly why it is that I love it so much. Is it the food? Is it the music? Is it the excitement of giving and receiving gifts? Is it being surrounded by my family? To tell you the truth, I love all of that, but I do believe that it’s the last thing on that list that makes me love it so much. I have a massive family. Huge. And being the eldest of seven children means that I’ve been able to watch each of them grow up. We’ve shared many, many Christmases together, crowding the lounge carpet as we unwrap presents with glee, flinging wrapping paper here, there and everywhere. Many Christmas dinners have been had too, of course, with a few squabbles thrown into the mix for added measure, because it wouldn’t be us if there weren’t any. The years, despite only being twenty-two, seem to have slipped by in the blink of an eye, and as I get older, I’m becoming more and more aware of the fact that one day, those fantastic Christmas mornings will be happening without me, because I’ll be hosting my very own Christmas. It makes me so sad to think that there’ll come a Christmas where I won’t be in the throes of it with my brothers and sisters, and perhaps that’s why I make the most of the Christmases we still have together. I’ll still go home of course, to visit everyone on Christmas Day, but I know it won’t be the same. Nothing beats waking up at stupid o’clock in the morning and waiting patiently, with a cup of coffee, for my siblings to join me in the present-strewn lounge, one by one, sleepy-eyed and full of yawns. I’m aware that those Christmases will one day become memories that I’ll tell to my own children perhaps, maybe even my grandchildren and so, until it happens, I cling on to these Christmases at home for dear life, because I will miss them so, so much once they’re gone. That’s not to say I’m completely dismissing the other reasons as to why Christmas is so fabulously exciting. If you know me at all, you’ll know that I’m incredibly annoying when it comes to the festive season, so much so that I begin to do even my own head in with my childlike glee, excitement and enthusiasm. I adore the lead-up to the big day. I love seeing the Christmas decorations, writing out my Christmas cards, playing all of my favourite Christmas songs and even buying Christmas-scented air fresheners and candles for the bedroom. There’s something cosy about the frost, if that makes sense? How it bites and nips at your cheeks each time you step outside, as if reminding you of Christmas and its arrival. I love wrapping up warm, mittens and scarf included, and wearing two pairs of socks to keep my toes warm. I love the Christmas books that perch prettily on the shop shelves like Robin red-breasts on a tree branch, and the abundance of festive movies that begin to make their way onto the TV, perfect for any Sunday afternoon with a hot chocolate in hand. I’m a sucker for the commercial side of things, but the reason as to why I love Christmas so much really does lie with my family. If it wasn’t for them, my Christmas wouldn’t the same. I can’t even imagine how my Christmas would look without them, the thought actually frightens me if I’m going to be honest. They make my Christmases magical, and so worth the year-long wait. So, no matter what you’re doing with yourselves this Christmas, I hope you make some magical memories that you’ll keep safe and snug in your heart. I hope your toes stay toasty, your nose doesn’t turn too red, and have yourselves a wonderful Christmas time. Rebecca Pugh grew up in the green county of Shropshire, with a mind full of fairy-tales and happy endings. 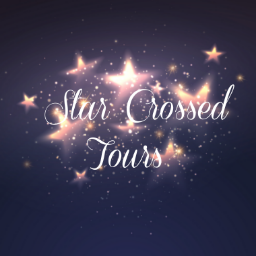 Enchanted by true love and Disney Princesses, she decided that no matter what life threw her way, she’d continue to see the world through a child’s eyes. Through the pages of countless books, her adoration of reading blossomed, and it didn’t take long for her to fall under the spell of hundreds of authors’ words. I would like to thank Rebecca for taking the time out of her busy schedule to come on the blog today. and not only can you find my review below but there is also a giveaway! If your looking for your perfect festive read to curl up to on a Sunday afternoon then I cannot recommend this book enough - I loved it that much I finished it in one sitting, which is rare for me of late as I've been so busy. Katie Warham is the main character in the book, she comes across as a kind yet sensitive soul, but one that is living her dream running her own cake business, Crumbsious, or so she thinks! As Christmas approaches, Katie is dreading spending time with her family, particularly as her beloved Granny passed away only two short months ago. She's never felt that she has made her mother proud or lived up to her expectations, especially as her older brother Karl is the golden child with his celeb status, although it is clear he dotes on Katie. 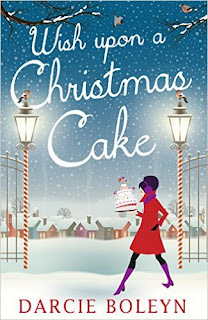 To lighten the mood her best friend, flat mate and business partner Ann tells her to wish upon a piece of their famous Christmas cake, in which Katie does but isn't sure what will come of it. Katie arrives at the very glamorous Hawthorne Manor in which her and her family are staying for the festive period, only to be fronted by an unexpected face of Christmas past... her ex and one only true love, Sam. Katie and Sam have history, and appeared happy until events took a turn for the worst, I wont give out too many details as spoil it for you, but Katie pushed Sam away and it's clear as the story unfolds that Katie and Sam still have strong feelings for each other only each are nursing a broken heart with Katie facing her first Christmas minus her Granny and Sam facing the first one alone with his young children, Jack and Holly, since the death of his wife a year a go. Whilst Wish Upon A Christmas Cake was a fast pace book, and was based from just prior to Christmas to early spring, it wasn't short of detail. Darcie has a great way of telling a story with in depth details, building up a picture in your own head and making you feel as if you are part of that particular scene. There were lots of ups and downs to the story as Katie and Sam battle their feelings, as Katie and her mother try to build bridges and they try to move on without Granny in their lives, but ultimately it was a love story based around Christmas and the epilogue which was based on the following Christmas wrapped the story up beautifully - I just loved Katie and Sam's stories. 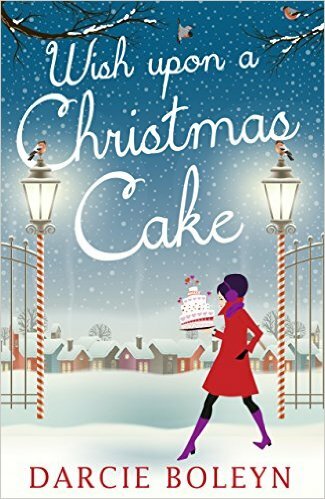 Wish Upon A Christmas Cake had be smiling throughout, all of the characters had fabulous personalities and the bonds between Katie, Karl, Sam and his children were a joy to read. The book made me scream and gasp at some of the scenes between Katie and Sam.... They are the type of characters you just know should be together yet find disruptions along the way. If I had to some this book up in one sentence it would be something like ~ It made me laugh, it made me cry but was wonderfully heartwarming, festive and romantic! No question that is is awarded 5 flowers! I would like to thank CarinaUK for supplying a review copy via NetGalley. This is my honest opinion. What Happens At Christmas is the first novel by T.A. Williams that I have read, and what a lovely, heart warming story it told. The book starts off with a prologue setting the story up, explaining that holly Brice had been summoned to a solicitors in order for a reading of her fathers will, a father that she hadn't seen or heard from in nearly 20 years. The first shock for Holly is that he has left her his quaint cottage in a small Devon village, and the second was the rather large sum of money she was to inherit too. The story is then told over a ten day period, with each chapter being a day leading up to Christmas. As Holly sets about sorting her fathers belongings, ready to sell the cottage, she gets acquainted to the other villagers who have nothing but nice words and high praise for her late father. Holly also becomes close to her neighbour, Jack, as well as forming a tight bond with Sterling, the dog her dad left behind. Over the course of the week, Holly sorts through her fathers things and discovers a bundle of letters, one for every month since he last saw her, and as she starts to read them she starts to see and understand what happened. There is also a Christmas gift for her for every year that he was absent from her life. 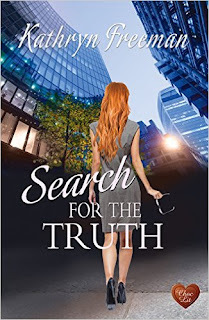 With the bonds forming, Holly has to decide whether to leave her high flying London job and move to the country, or give up the house and dog that gives her such feeling of connection to her dad. As her and Jack seem to get closer she senses something holding him back and the classic will they wont they you often get in a romace novel takes you right up to the tenth day - Do they get they Christmas wishes? Well you will have to read the book to find out! 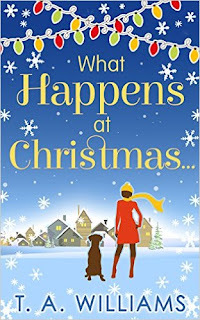 What Happens At Christmas was a romantic, festive, feel good book, and although for me personally, the story was a little predictable, it was a nice light read, ideal for reading on a Sunday afternoon after a crazy week! I would like to thank Guest Reviewer Nicole for the following post. 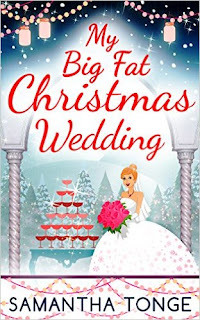 As her Christmas wedding approaches, a trip back to snowy England for her ex's engagement party makes her wonder if those are wedding bells she's hearing in her mind, or warning bells. She longs for the excitement of her old London life- the glamour, the regular pedicures. Can she really give that all up to be...a fishwife? This book took a bit of time to get into, but once I read the first few chapters I really did start to enjoy it. I particularly like the real to life subjects that appear such as the recent downturn in the Greek economy and the migrant situation of them escaping their war torn country to find a better life in Europe. Pippa gave up her life in London, where she was challenged everyday and got rewarded with what she was good at. However, happiness is not all about material things and money, she settled with her Greek God boyfriend Niko, a childhood friend she met from many holidays to Kos. She loved the family closeness that they had altogether. Henrik her ex-boyfriend couldn't be more different, money-hungry and a workaholic that always tries to convince Pippa that she could be with him again. This classic love story, has some twists and turns many which come totally unexpected which came as a big surprise and some comical moments. I also cried at a particular point in the book (which I won't spoil for you all) but it was a definitely a hand in mouth moment. I really enjoyed this book, and will give it 4 stars, I would love to see an epilogue or a follow on from this book to see if the village turns around. I would like to again thank Nic for reading and reviewing and the publisher, Carina, for providing a copy via NetGalley in return for an honest opinion. 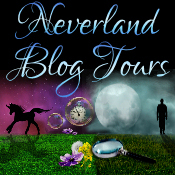 which is on its blog tour with Brook Cottage Books. Below is all the info you need including blurb and buy links. There is also a competition! Today is my stop on the blog tour for Claire Sandy's christmas book, Snowed In for Christmas and I'm delighted to be sharing with you her top ten presents not to give! Everybody wants it to snow at Christmas... don't they? Asta's plane touches down in Ireland as the first flakes of snow begin to settle. As the weather worsens it turns what should be a flying visit in to a snowed in Yuletide with her chaotic family. Maybe this Christmas, Asta will find a cure for her long-broken heart? Christmas is a holly-strewn mine field. As you dash from shop to shop, panic buying and desperately trying to remember just how old your godchild is, take a moment to calmly survey the landscape, so you don't make the mistakes below. Now is not the time to count the pennies! At least, it's not the time for people to see you counting them. Damaged packaging screams sale bargain just as surely as a diary for last year or felt tip set with missing colours. Unless you're Nigella, the truffles you make won't look like the picture with the recipe; they'll look like what you find on the floor of a rabbit hutch. Knitted items show you care, but they also show how bad you are at knitting. You could sew initials on a handkerchief, but you'd have to travel back in time to find somebody who uses one. Your boss with a drinking problem probably shouldn't take that bottle of single malt. Better not give your newly heartbroken sis a Mr & Mrs board game. Gardening gloves are of little use to the man who lives in the flat above you. If you didn't want them, chances are nobody else will either. That notebook with a cute kitten on the cover won't have improved by spending a year in your loft, and the oversized beads that are more chain store than Chanel won't appeal to your friends any more than they do to you. If you must re-gift, make sure you label the presents you stow away with the name of the giver, in case you find yourself giving that flammable fake fur throw back to the same stingy cousin who originally gave it to you. The moment you get your paws on the latest gadget it's already half way out of date. This doesn't mean you can hand on your obsolete phones or music systems. Couture ages well, iPhones not so much. A kitten is a fluffy bundle of commitment and even if you know the kids of the house desperately want a cat or a dog or a, umm, terrapin, it doesn't mean the adults are on board with the scheme. Unless you're prepared to go round and walk it/wash it/feed it, don't buy anything that breathes. Unless you know the recipient very well (i.e. you're related to them or you sleep with them) giving clothes can backfire. Sizing is a minefield - prepare for your best friend to ignore you until February if you guesstimate her as a size fourteen when she's only a twelve. Give 'em a break. It's Christmas Day! The little ones should be off their heads on E numbers, being alternately cuddled and told off as they weep over missing batteries and demolish brand new toys. They should not be hunched over jigsaw puzzles of the British Isles. If you've ever seen the dejection on a teenager's face as they tear open an envelope to find it contains not a cheque but a picture of the goat you've bought on their behalf for an African village you'll know what I mean. Virtuous gifts make you feel good and that's not the point, is it? Claire Sandy lives in Surrey with her husband and daughter and dogs. Before she wrote books, she made radio jingles and sold wool (not at the same time). Now she has her dream job as a novelist, having already written What Would Mary Berry Do? and A Very Big House in the Country. Today I'm thrilled to be joined on the blog by Carina author, Annie Lyons, to talk about her perfect Christmas. Still, I think it’s important to hope and to believe. That’s actually what Christmas is about for me – the excitement is in the build-up, the thrill of expectation before the reality of the actual day – a lovely reality, but not quite like the dream. May your Christmas dreams and reality be similarly wonderful. Have a happy one, my friends! After leaving university, Annie Lyons decided that she 'rather liked books' and got a job as a bookseller on Charing Cross Road, London. Two years later she left the retail world and continued rather liking books during an eleven-year career in publishing. Following redundancy in 2009 she realised that she would rather like to write books and having undertaken a creative writing course, lots of reading and a bit of practice she produced Not Quite Perfect. She now realises that she loves writing as much as coffee, not as much as her children and a bit more than gardening. She has since written another two novels and is about to start work on her fourth. She lives in a house in south-east London with her husband and two children. The garden is somewhat overgrown. One day she hopes to own a chocolate-brown Labrador named John and have tea with Mary Berry. Today is the start of #CarinaChristmas hosted by Rachels Random Reads ~ Over the next week I will be taking part and posting reviews of Christmas books by authors published by Carina. To look for other reviews just search the hashtag. 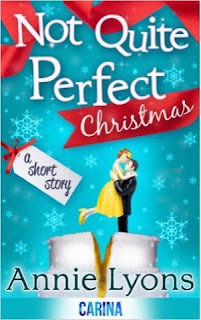 I'm kicking off the week with a review for Not Quite Perfect Christmas which is brought to you by guest review, Katrina. A Christmas fairy tale in New York? This Christmas, Emma Darcy has decided, is going to be perfect! Not only has she exchanged her glamorous London life to jet out to the even more glitzy New York, but she has her gorgeous boyfriend finally by her side, and her dream job comes with an invite to their super-dazzling Christmas party. Ooooh, what to wear?! To celebrate, this year she’s planning a Christmas like you see in the movies; her tinsel-topped to-do list includes ice-skating outside Rockefeller Center, strolling around a snow-covered Central Park and Christmas (window) shopping at Tiffany. That plan goes slightly out the window with news that her Mum, sister and niece Lily will be visiting her – that’s a lot of Darcy women, even in the Big Apple! With family drama and a work disaster to avoid too, this might not quite be the picture-perfect Christmas she’d had in mind…! A Not Quite Perfect short story. Having read Not Quite Perfect earlier this year, I just had to catch up with the Darcys. The Not Quite Perfect Christmas short story revisits Emma and Rachel Darcy at Christmas time as we see how life has changed for the two sisters. Since the first book, Emma is on a two-year secondment, continuing with her work as an editor in New York. Having left one sly co-worker behind in London, Emma now finds herself suspicious of Wendell who seems unimpressed with her work. Her sister Rachel decides to visit her before Christmas, along with Diana (Rachel and Emma's mum) and Lily (Rachel's daughter). The Darcy women make an impact in New York and everyone has a part to play! It's difficult to review the book and go into detail without completely spoiling the novella and the original book (if you haven't read it) but what I can say is that it's a lovely short story full of warmth and happiness at Christmas time. The character of Lily is one of my favourites - she is hilariously written and is wise and bold beyond her years. 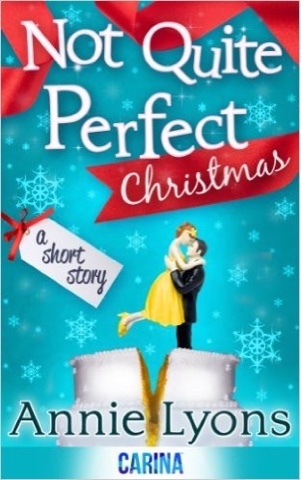 Not Quite Perfect Christmas is a short and sweet novella which will leave you wanting more. The Darcy ladies are so well written, I'm sure that Annie Lyons could (and hopefully will) continue their stories in the future. 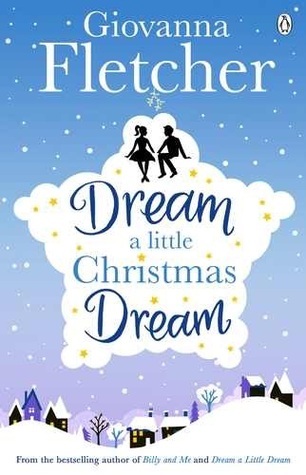 Giovanna Fletcher has quickly become a favourite author of mine, her novels have progressed with her as she writes more and more and Dream A Little Dream was one of my favourite reads of the summer, so when I heard that Gi was writing a festive novella as a sequel it immediately made my wish list! Being a novella, Dream A Little Christmas Dream was a quick short read, but packed with great detail and humour, it had easy to follow references to Dream A Little Dream so it could be read as a standalone, although I would thoroughly suggest reading the full novel first. Sarah, the main character, is enjoying life since we last met her - she's happy in her new job and loved up with Real Brett... that is until her crazy dreams start to come back including one where she falls and loses all her teeth, Brett looks this up as a sign of big change happening but Sarah starts to wonder if that's true - especially after a few big announcements from her circle of friends at their weekly pub quiz meet up and Brett ignoring her 'Where do you think we are going chat?" Convinced ahes going to be dumped by Christmas, Sarah gets herself into a right pickle and as the last quiz night before Christmas looms closer shes far from feeling festive - that is until Santa, AKA Brett, hosts the quiz and dedicates one round completely to Sarah - shocked and surprised, all the little things she been worrying about soon clicks into place - finally Sarah can have a her happy ever after. Dream A Little Christmas Dream was delightful read, I loved catching up with Sarah and her group of friends and seeing how their lives have moved on. Giovanna has a great witty writing style that is full of emotion and takes you from laughing out loud to sighing 'ahh' and smiling right through to the end! I don't usually do these things on my blog, more for the lack of time than anything else, but having seen a few of them I thought as I had a spare afternoon I would join in. I haven't been tagged by anyone, ( unless you call being nagged by Aggie and Hayley on twitter!!!) and I won't be tagging it on but if you see this feel free to join in. You can check out Aggie and Hayley's answers by clicking on their names. Not particularly, it depends on my mood and whether it's an ebook or physical copy. That said, I adore my chair and will be found curled up reading in that most of the time! Can you just stop reading or do you have to stop at the chapter/ certain part of the book? I'm always interrupted when I'm reading, either by my other half or the phone or that little thing called social media! I've become quite good at memorising where on the page I am haha! However... Interruptions are one thing, stopping is another and I always have to leave the book at the end of the chapter! Music yes - but it has to be as background music so fairly low volume. I can read and watch TV if it's a programme I'm not overly fussed on, however if it's something that I want to watch then I have to leave my book for a while. Yes.. always a cuppa or hot chocolate in my giant mug! Snacks are ok, but main meals I never read at. One book at a time or several on the go? Always one at a time. Can you read on the move? Car or train? I can read on the train but only if I'm travelling forward! Car is a no -go mainly because I do most of the driving but if I'm a passenger I can read a little on straight roads like motorways but side roads and reading makes me feel quite nauseous. Its just weird to hear myself reading out loud unless its to my nieces and nephews. I have a few different ones but this one is by far my favourite! Until I became a blogger and book reviewer I never thought any different - I had a book to read so I read it. However, since my life has been taken over and I've been lucky enough to get ARC's via ebook and physical I've become obsessed with keeping books new. I've got quite a collection now of duplicates - I can read the ebook and keep the physical nice and in tact - just don't tell my other half!! 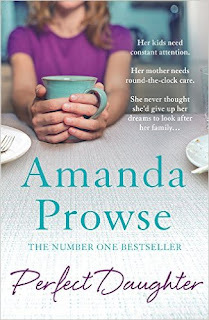 Today I'm delighted to be helping the lovely Amanda Prowse share not one, but tow cover reveals! The first is a re-launch for her best selling novel, Perfect Daughter, if you haven't read this yet you can purchase it here! And the second gorgeous cover is for Amanda's new novel, Another Love, due to be published 16th January 2016 in hardback and ebook. 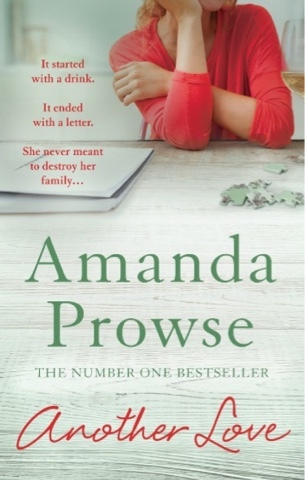 The new gritty, emotional bestseller from Amanda Prowse. In the early years of their love affair, Romilly was happy. She had worked hard for her stunning, modern house in one of Bristol's most fashionable suburbs. She adored her gorgeous, gap-toothed daughter and her handsome, kind husband. Sure, life was sometimes exhausting - but nothing that a large glass of wine at the end of the day couldn't fix. Another Love is available to Pre-Order now, get your copy here! 'Tis the season to be jolly...But can Eve find happiness through the frost...? But Eve isn't going to back down from a challenge. She's determined to make a success of Winterworld, no matter what. Can she overcome her dislike of Christmas, and can Jacques melt her frozen heart at last...? Eve hates Christmas, especially since her fiancé Jonathan lost his life at war in Afghanistan on Christmas Day. When Eve's aunt Evelyn passes away, her Christmas nightmare worsens as she is left ownership to half of a Christmas theme park in her will. Not only that but she is forced to work with mysterious Jacques Glace who has also been left half of the theme park. Eve is instantly suspicious of Jacques - how did he know Evelyn? And why did she decide to leave him such a big gift in her will? Eve is determined to make the park a success for her aunt but can she work effectively with Jacques, especially when they have such conflicting ideas? It is clear that Eve has not grieved for her fiancé and manages to cocoon herself in her own little world, working so hard that she falls ill with shingles. This means that Jacques is left in charge of the park, much to her disapproval, but on arrival back at the park she is surprised to see what a good job Jacques has done. Nonetheless, she is still suspicious of him and we are left wondering whether or not she will get to the bottom of the mystery surrounding Jacques Glace and whether they can they work together to make Winterworld a success. This is the first Milly Johnson book I've read and I absolutely loved it. I fell in love with the characters, they're so well written and you truly feel a part of the story. I felt particularly attached to the character of Effin Williams as he came from my town of Carmarthen - the bits of Welsh in the book made me howl as I needed no translation and the rude language he used was actually funnier in his mother tongue. There were several moments in which the book kept me guessing. For example, there's the mystery behind Jacques Glace, with his background not apparent until nearer the end. There is also Violet and Pav's relationship, where certain things only add up as the story develops. I loved the odd chapters made up of 'The Daily Trumpet' newspaper mishaps, especially as they have a significance near the end of the book. 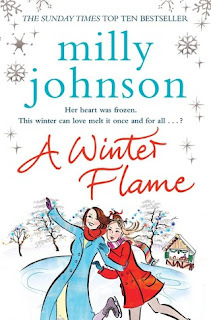 A Winter Flame made me feel so Christmasy, it's hard not to feel excited for this time of year with all the references to Santa, reindeer, snow etc and it made me want to visit a place like Winterworld. The book made me laugh and cry in equal measures and there were times when it really pulled on my heart strings. Without doubt one of my favourite Christmas books, I'd encourage you all to read it. Fantastic from start to finish, 5 flowers!